Phil Esposito, one of the most decorated NHL personalities of all-time, is credited along with his brother Tony, for brokering the deal to bring NHL hockey to Tampa Bay. Phil’s dogged pursuit of an NHL franchise for Tampa was the tipping point and the Tampa Bay Lightning was founded in 1991. Phil has been a mainstay in the Tampa Bay area ever since as an administrator and commentator. Inducted into the Hockey Hall of Fame in 1984, Esposito was a 10-time NHL All-Star, six of those years as a first-teamer, and had his No. 7 jersey retired by the Boston Bruins in 1987. He retired as the second leading all-time NHL goal and point scorer and was third all-time in assists. To this day, he remains among the elite in NHL history in goals, points and assists. 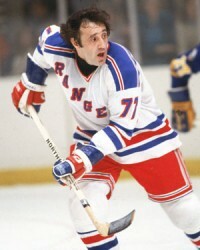 During the 1970’s, Esposito became the first player in NHL history to score 1,000 points in a decade. It was Esposito’s determined effort to bring investors, business leaders and NHL executives together to make Tampa Bay a franchise site. Against all odds, Esposito’s dream became a reality and the Lightning was born in 1991. The franchise would go on to win the 2004 Stanley Cup and have become one of the most successful and beloved organizations in professional sports. On December 31, 2011 a statue of Phil Esposito was unveiled and now stands in front of the team’s home at Amalie Arena in Tampa.